•	BER: D1 BER. NO. 103954566. •	No 23, Lioscaisil, Ballybrit is a superb 4 bed. 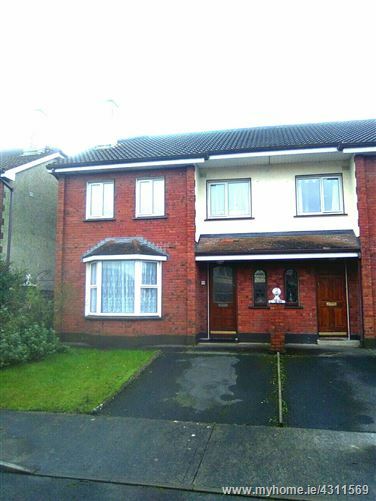 residence situated in a quiet cul-de-sac location in a very convenient residential area, close to all facilities, Schools, Shopping Centre, Hotels, Church, Retail Parks, Parkmore Industrial Estate and Mervue Industrial Estate. •	Viewing of the property is highly recommended and this sale offers a great chance for someone to obtain a fine 4 bed. home in a really good residential area, close to work places and the City centre. •	The property comprises: Sittingroom with open fireplace, kitchen/diningroom fully fitted units and counter, utilityrm. downstairs w.c. and w.h.b. 4 bedrooms upstairs with built-in units plus main bathroom w.c. and w.h.b. An exceptional 4 bed. situated in a quiet cul-de-sac at Lioscaisil Estate in Ballybrit, close to Shopping Centre, Industrial Estates, Hotels, Church + Schools. Lovely cosy sittingroom with open fireplace, kitchen/diner with built in units, utilityrm. + downstairs w.c. 4 family bedrooms upstairs + main bathroom. Private rear garden + off Street parking to the front, within 5 mins. drive of City centre + good Bus Routes available. Excellent decorative condition within - viewing is highly recommended.